■Tinned ,annealed,stranded or solid copper conductor.PVC insulation. 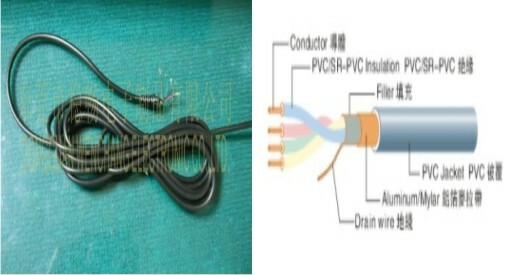 ■Tinned copper wire spiral shield. ■Use of spiral shield allows for fast and simple temination. ■For use in recording studios,sound systems and electronic circuits and power adaptor for portable pc.